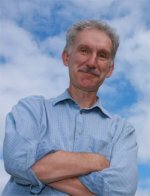 Dr. Philip Rasch, an internationally respected scientist in climate modeling and atmospheric chemistry, joined Pacific Northwest National Laboratory in October 2008 as the Laboratory's first Chief Scientist for Climate Science. Rasch will help guide the science behind one of PNNL's most important areas of research: transforming the Nation's ability to predict climate change and its impacts. At PNNL, Rasch will work with PNNL leaders to establish, implement, and advise on PNNL's climate science research portfolio and strategy. He also will contribute to PNNL's Aerosol Climate Initiative, connecting lab and field work to modeling to improve understanding of climate change. He joined PNNL as a Laboratory Fellow, the highest rank that PNNL science and engineering staff can attain. Laboratory Fellows are chosen for establishing careers of sustained, highest-quality research and development in science or engineering fields. Rasch is a long-time contributor to the fields of climate modeling and atmospheric chemistry. Before joining PNNL, Rasch served as a senior scientist in the Climate and Global Dynamics Division at the National Center for Atmospheric Research, where he focused on understanding the connections between clouds, chemistry, and climate of the Earth system. He co-chairs the Atmospheric Model Working Group of the Community Climate System Model program, one of the world's top climate modeling research collaborations. He serves on the editorial advisory board of the international meteorology and oceanography journal Tellus and has served on advisory panels for the National Science Foundation, the U.S. Department of Energy, and NASA. Rasch was a contributing author for significant scientific assessments for the World Meteorological Organization, NASA and the UN-convened Intergovernmental Panel on Climate Change. He was a member of the National Science Foundation Science and Technology Center for Clouds, Chemistry and Climate, chairing of the modeling activity within that center. More than 85 of Rasch's peer-reviewed publications have appeared in major atmospheric and scientific journals. He earned bachelor's degrees in chemistry and atmospheric science from the University of Washington and master's and Ph.D. degrees in meteorology from Florida State University.